The Sweet Orin is a unique apple variety from Japan, where it is considered a true delicacy. It is an oblong apple, medium to large in size with a yellow-green color and a strong skin that resists bruising. The Sweet Orin is a sweet, juicy, aromatic apple that is low in acid with a subtle pear-like flavor. This product traveled 348 km to reach our warehouse. Storage Tip: Apples stay fresher if they are kept cold so store them in the fridge. Apples give off ethylene gas, which causes produce near them to ripen too quickly so put them in a plastic bag. Apples cause carrots to go soft so keep your carrots and apples well separated. Did you know... The apple tree is the most heavily cultivated in the world. The Macintosh is the most popular apple. There are over 7000 varieties of apples. 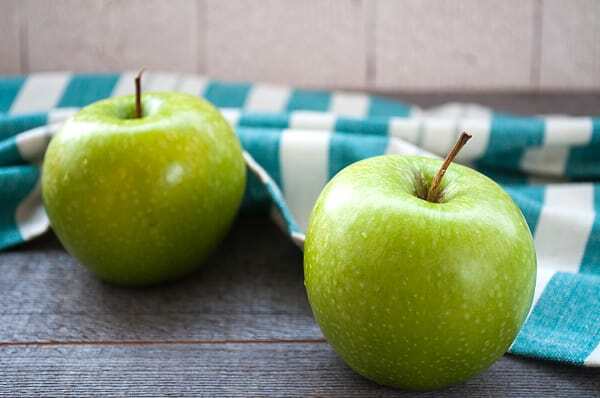 Health Information: An apple a day really does keep the doctor away. Well, at least cancer doctors and heart surgeons. The pectin in apples reduces cholesterol and the quercitin (a flavinoid) reduces the risk of cancer. The boron in apples is thought to help make menopause easier and reduce calcium loss. Dan Taylor was a refugee from the petrochemical industry when he got involved in farming, and it didn't take him long to figure out that organic farming was the right way to do it. Throughout the 10 years he worked on a non-organic orchard, Dan maintained an organic home garden, until he finally bought his own farm. Dan says, "It was waking up every morning with the smell of chemicals on my pillow that really got to me. I didn't even do the actual spraying! Finally, my sense of danger to myself and my family just got too great." Dan has been farming and marketing organically since he bought his farm in 1987 and now runs an organic orchard and an organic packinghouse. The home farm is 2.5 acres of mixed fruit and ground crops, which Dan brought into certification. In the beginning, Dan market gardened between the fruit trees, focusing on onions and garlic along with cherries, apples, peaches, plums and prunes. Gradually, the family started leasing other properties and bringing them into certification. The Taylor farm now has 32 acres in production, and has made a much larger impact on the local organic scene. There are about 30 acres of other local land that they certified, and which are now farmed organically by others. In 1996, Dan and his family moved out of ground crops and went full-time into the orchard and the packinghouse. His family is very involved in all their enterprises, in the orchard, the garden and the packinghouse - but says Dan, "no-one likes weeding!" It's probably a relief, then, that they plant Dutch clover as a green manure between the trees over most of the farm, with garlic planted only in the soft fruit orchard to prevent tree borer. This kind of pest control is what Dan prefers to use to create prime growing conditions for his fruit - and garlic smells better than petrochemicals on your pillow! The Taylor farm currently specializes in apples, pears and peaches, with a few acres of prunes and plums for variety.